"A great looking strategy and action game." If you have never heard the words Clash of Clans before you may well have been living under a rock or in outer space for the last few years but if you haven't heard about it it is a game that can be enjoyed by people of all ages although there is some very mild cartoon violence in the game mostly it is about building and fortifying your village to protect it from raids from other players although when you start you will need to raid other players to strengthen your resources and build up your town hall as you start with essentially nothing. 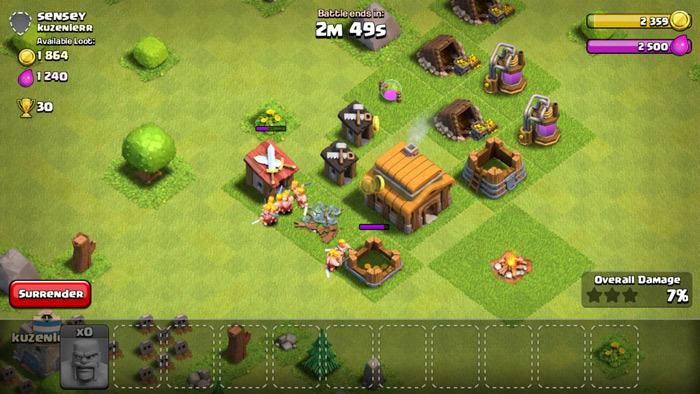 Although Clash of Clans is an Android game you can download it by downloading Bluestacks for your PC (which is what the download button on this page will give you) once you have Bluestacks you will be able to download Clash of Clans from the play store along with many more android games and apps. 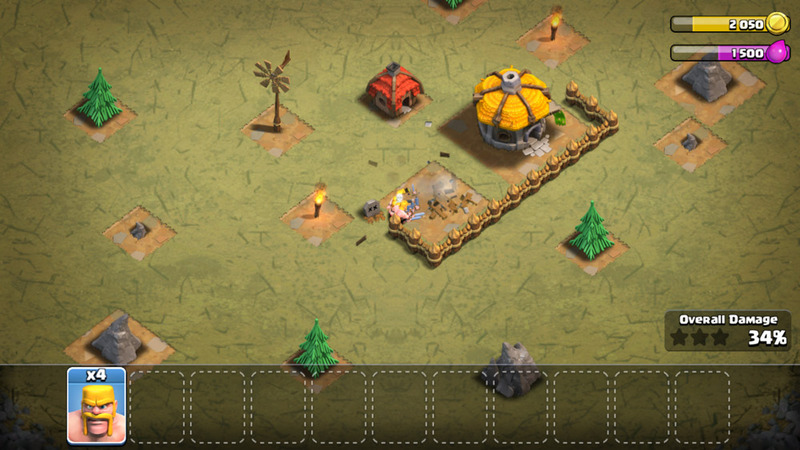 Clash of Clans starts off with an easy to follow tutorial that allows you to get in to the game quickly without being overwhelmed, once the brief tutorial is over you can get in to raiding other players and building up your own village, the cartoon graphics are great and look superb, although do bear in mind this is a freemium game and you will be encouraged to make purchases within the game however especially early in the game you do get a fair amount of gems and coins to build up your resources without having to pay a penny but as you progress you will either have to remain patient or start to pay to accelerate your village expansion. 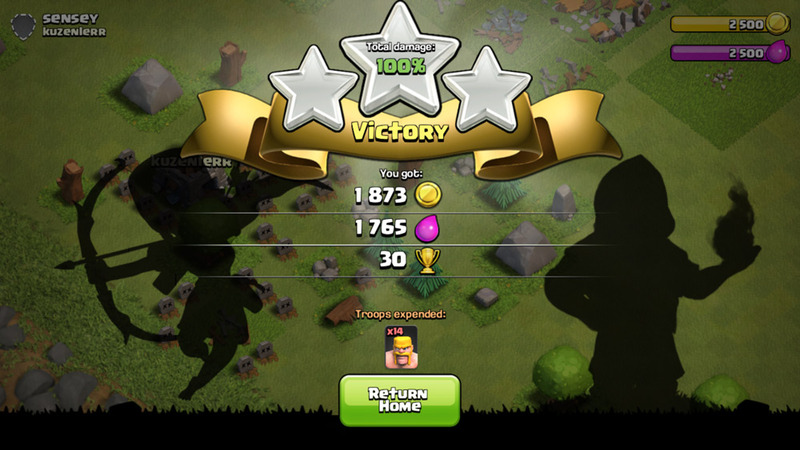 Download Blue Stacks free here to obtain Clash of Clans on your PC.